Looking for mortgage advice? We'll be glad to talk about our many mortgage solutions! Give us a call at (630) 534-5500. Want to get started? Apply Here. Reverse mortgages (also referred to as "home equity conversion loans") enable older homeowners to benefit from their built-up equity without having to sell their home. The lending institution pays out funds based on your home equity amount; you get a one-time amount, a monthly payment or a line of credit. Repayment isn't necessary until the borrower sells the property, moves (such as into a care facility) or dies. When you sell your property or you no longer use it as your main residence, you (or your estate) have to pay back the lending institution for the money you received from the reverse mortgage as well as interest among other fees. The conditions of a reverse mortgage often are being sixty-two or older, maintaining your house as your primary living place, and holding a small balance on your mortgage or having paid it off. Reverse mortgages can be appropriate for retired homeowners or those who are no longer bringing home a paycheck but must supplement their fixed income. Rates of interest may be fixed or adjustable while the funds are nontaxable and do not affect Social Security or Medicare benefits. The lender is not able to take away your property if you outlive your loan nor may you be required to sell your home to repay your loan amount even if the balance is determined to exceed property value. Call us at (630) 534-5500 to explore your reverse mortgage options. 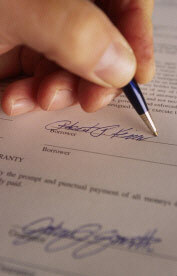 Community Mortgage Corp. can walk you through the pitfalls of getting a reverse mortgage. Call us: (630) 534-5500.